I was unaware that when Hunter Thompson was a young writer he typed out “The Great Gatsby” and “The Sun Also Rises” to deconstruct how F. Scott Fitzgerald and Ernest Hemingway achieved their effects and created their masterpieces. 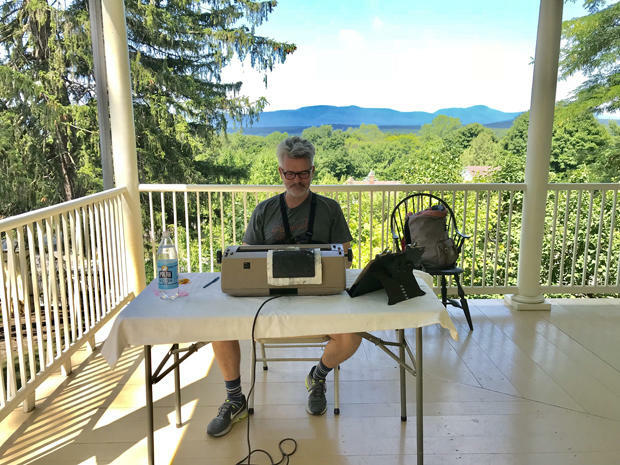 That wasn’t the primary motivation that found Tim Youd sitting on the porch of the Thomas Cole National Historic Site in Catskill, NY, last week pounding out James Salter’s “Light Years” on an IBM Correcting Selectric III typewriter -- similar to the machine Salter used to write the novel in the first place. However, Mr. Youd isn’t a budding novelist. He’s a performance artist and he’s been traveling the Hudson Valley since April when he retyped Mary McCarthy’s “The Group” at various locations on the campus of Vassar College. Ms. McCarthy attended the school before achieving fame and fortune with her novel that follows eight fictional Vassar women after they graduate in 1933. Mr. Youd has retyped approximately sixty works of literature as part of a project to retype one hundred novels in settings connected to the author and the work. All while employing the same model typewriters. The link between the Thomas Cole National Historical Site and Salter, the American novelist and short story writer who died in 2015, sounded somewhat tenuous. Except that both the artist’s home and “Light Years” are set against the backdrop of the Hudson Valley, and both artists, one in the early 19thCentury, the other in the late 20thlamented the destruction of nature in the name of human progress. In the case of “Light Years” it’s a marriage that gets destroyed. Other works Mr. Youd has or is planning to retype in the Hudson Valley include John Cheever’s “Falconer” in a decommissioned guard tower at Sing Sing, and William Kennedy’s “Ironweed” in the streets and cafés of Hudson, NY, at the Albany Institute of History and Art, and, next week, at the Art Omi Sculpture Fields in Ghent, NY. Mr. Youd doesn’t diligently record every sentence, paragraph, comma and period that the author wrote. Indeed, he didn’t employ the IBM Selectric’s correcting feature a single time. Rather, he was typing out the novel in a continuing stream of words, uninterrupted by spaces, and on a single piece of paper backed up by a second sheet. The result is a ragged, ink-saturated artifact that in some strange, tactile way captures both the majesty, the effort and the more than occasional heartbreak of literature in particular and the creative process in general. Beyond that I’m not willing to go in pretending to understand what Mr. Youd is up to. And frankly, that’s not why I showed up at the Thomas Cole site to talk to him. “Those Who Walk Away.” It’s set in Venice and Mr. Youd typed, or should we say, performed it on a boat landing overlooking the Grand Canal. Then there was Ray Bradbury’s “Fahrenheit 451”. He undertook that work of dystopian science fiction at the Kurt Vonnegut Memorial Library in Indianapolis as part of Banned Books Week. And he typed the novel on the same desk that Bradbury had used. 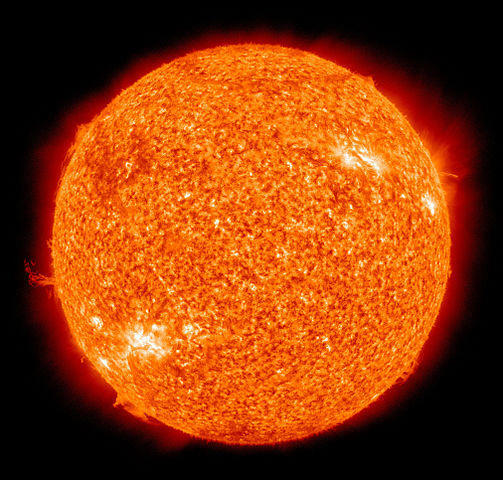 In the novel books are outlawed, Fahrenheit 451 referring to the temperature at which paper burns. In any case, Mr. Youd said the project has made him a better, more astute reader. He doesn’t just retype the novels. He researches the life of the novelist and reads the work beforehand. The project may have also made him a better writer, he believes, and provoked him to try his own novel. It’s set in L.A., where he and his family live, amid a population that inhabit RV’s near his studio, neither homeless nor quite established. However, having typed sixty novels and counting he’s gained an appreciation for perhaps the key element for achieving success as a writer. It’s less talent or inspiration than stamina. The determination to shoulder through the self-doubt day after day, year after year. It’s typically the objects not the wall text that catch the eye at an art exhibition. 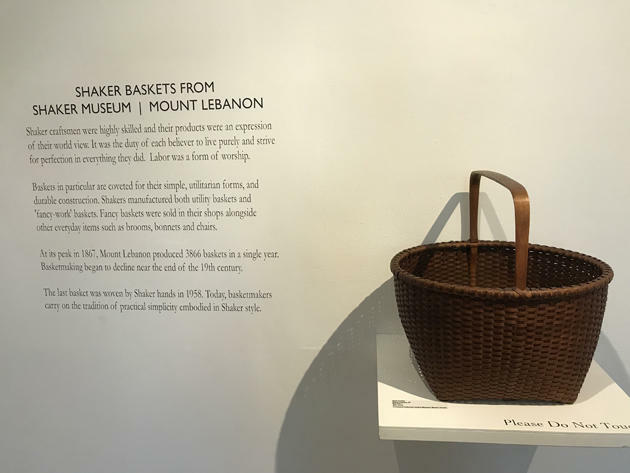 But a few words at the start of the Columbia County Historical Society’s new show of Shaker Baskets from the Shaker Museum|Mount Lebanon resonated with me. In the same way that a forecast for a major snowstorm fills me with anticipation so the news that a heat wave was on the way last week triggered similar excitement. Every community, every town and village in America ought to have its own Piwonka. I’m referring to Ruth Piwonka, the town historian for Kinderhook, NY. 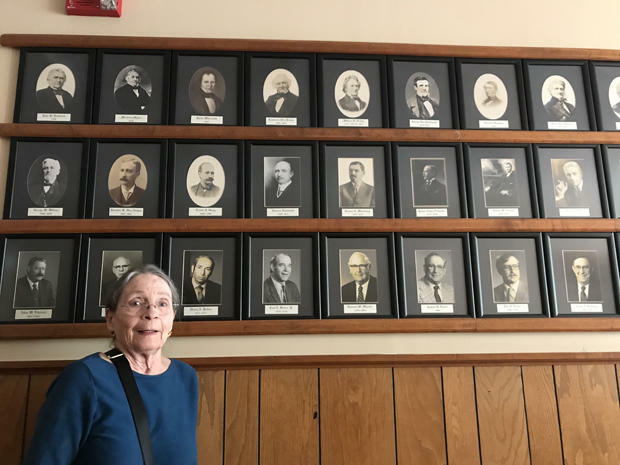 Though Ruth tells me her official title is Kinderhook municipal historian. 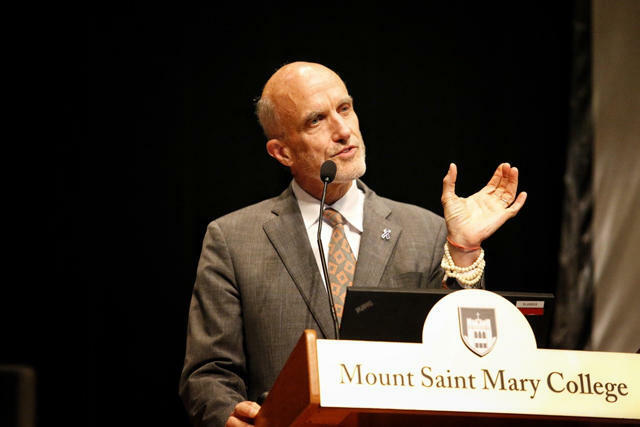 I couldn’t make it to Philip Marshall’s keynote address at an elder abuse conference in Newburgh, NY last week. Then again, Philip couldn’t make it to breakfast at my house the following morning on his way home to Massachusetts.